The time has come again for the Carole Nash Motorcycle and Scooter Show, taking place in the RDS from March 1st – 3rd 2019. We’re delighted to announce that the team here in M50 Honda will be bringing the KTM range to the show. The KTM brand has been a staple in our new motorcycle line up for many years now. We will have a range on display, but most importantly the brand new KTM 790 ADVENTURE! We will be set up on stand A2/A3 in the main hall for the duration of the show. 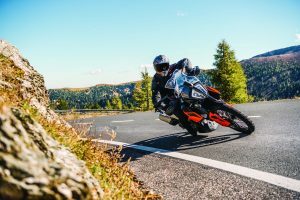 Punching way above it’s cubic capacities, the KTM 790 ADVENTURE sets a new performance and offroad ability benchmark in the mid-capacity travel enduro market. The KTM 790 ADVENTURE is for travel enduro fans of every ambition and ability, ready to discover new roads whichever way it’s pointed at – no matter surface. 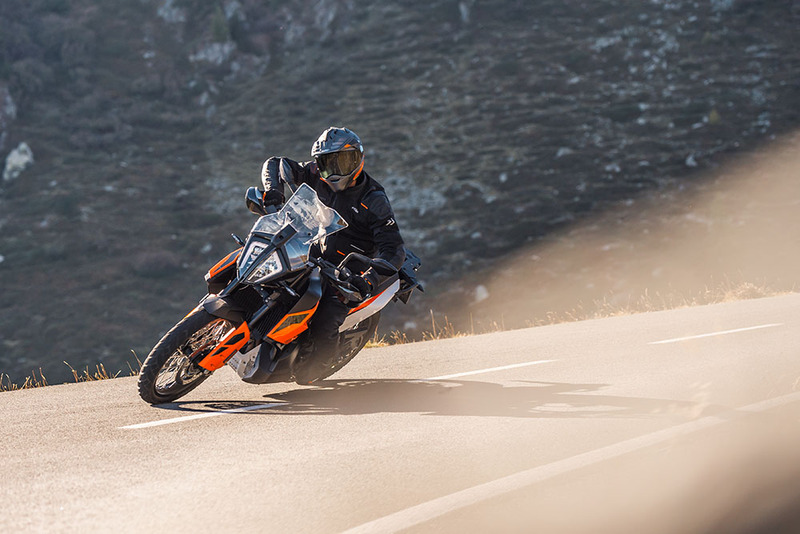 Powered by the 799cc LC8c parallel twin – first seen in the KTM 790 DUKE – the engine has been tuned to deliver its torque lower down the rev range to fit the specific requirements of adventure riding. The result is smooth acceleration, plentiful performance and a 450 km range from a 20-liter tank. This rugged bike have been developed by some of the best adventure riders in the world and in conjunction with the Red Bull KTM Rally Factory Racing Team to provide a confidence-inspiring chassis with a low center of gravity and riding ergonomics to suit riders of all sizes and spirit. A full suite of rider assistance systems, easily navigated and activated with a bar-mounted menu switch, aligned to a full color, TFT display, allow the adventurous to get the most from this machine in all situations. 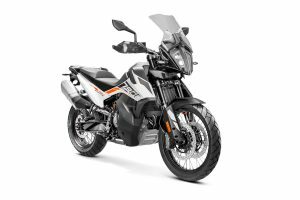 The KTM 790 ADVENTURE is priced at €14,250. Get all the specs here. Also on display will be 125 DUKE, 390 DUKE, 790 DUKE, 1290 SUPER ADVENTURE S, 1290 SUPER-ADVENTURE R and 1290 SUPER DUKE R. We will be set up on stand A2/A3 in the main hall for the duration of the show. Catch you all there! Bag €600 off selected Honda Motorcycles now!